TransferPlan will transfer you from and to Elounda as quickly, safely and comfortably as possible. Elounda is a small resort town located in the northern coast of Crete 70km east of Heraklion and is consisted by a network of seven villages and an unoccupied island. Elounda has gained fame as a luxury tourist resort with high-end boutique hotels and restaurants. Each year Elounda becomes a hub for celebrities and public figures that choose the region as their vacation destination. Elounda is renowned for its gorgeous and pristine landscape. 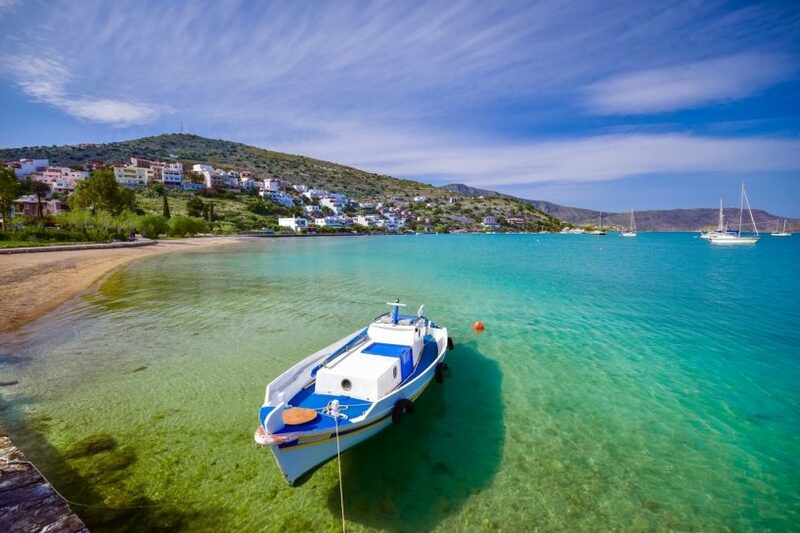 Visitors who seek a serene and peaceful seaside vacation would be delighted to find all this in Elounda. Moreover, Elounda is in a convenient location thus not completely isolated. The town lies on the edge of the scenic lake of Korfos Bay and overlooks the Spinalonga peninsula. Spinalonga is infamous for being the last operating leper settlement on the European continent. Initially, Spinalonga was attached to mainland Crete but during Venetian occupation was converted into an island and fortified for defence purposes. The fortress is defended by 40 cannons that date back to the 15th century. The island was originally converted into a leper colony back in the 19th century and hosted its last residents in 1957. To this day the island remains uninhabited and is considered a place of great historical interest. It is also one of the most popular attractions in the area. The island is frequently serviced by small boats which makes it an ideal day trip for visitors. In the centre of Elounda, one can find a picturesque fishing port. Around the waterfront, there are several bars and restaurants. Also, north of the port lies the nearest beach to the town, where visitors can take some time off from sightseeing. Expect to meet some crowds whilst there. Book your Crete transport now. Enjoy a high-quality service at the lowest prices. Best price guaranteed. That’s why we are Crete’s favourite airport transfer company. TransferPlan will transfer you from and to Malia as quickly, safely and comfortably as possible. Malia is a coastal town and a former municipality in the northeast corner of the Heraklion regional unit. It lies 35 kilometres east of Heraklion, the Cretan capital city. Malia is considered the 'Party Mecca' of Crete or the Cretan equivalent of Koh Phangan and Magaluf. In the area, one can find flocks of British tourists going there for their gap year, stag and hen parties or simply go there to rock it. Travelling to Malia is advised against as its cultural impact and natural beauty is minimal and other than crazy nightlife has not much to offer. Malia is mostly ideal for the young, the party-goers, and the heavy drinkers. Every second place in Malia seems to be a facility dedicated to night-time entertainment. Standard establishments such as hotels and restaurants can be found all around. Also, if you would like to see a place retaining some of its authenticity, you could visit an old village located south of the main coastal road. The two main roads of Malia are conjoined in the centre of the town, in front of the Church of Saint Nektarios. One of the roads is turned into a pedestrian zone and is considered the 'party lane' of Malia, where young tourists patron one of the many bars and clubs until the early hours of the morning. The second road crosses vertically the pedestrian zone and is full of cafes, shops, supermarkets and banks. This road tends to be calmer as well. Malia is also home to the third largest Minoan palace in Crete. The ancient Palace of Malia belonged to legendary King Sarpedon, who according to the myth he was the son of Zeus and goddess Europa and brother of King Minos. Excavations around the area have also brought to the surface many burial places full of treasures and golden ornaments. One of the most famous discoveries is the jewel decorated with bees, that is exhibited in the archaeological museum of Heraklion. Unfortunately, many of the tombs were looted prior to excavation from the archaeologists and the number and nature of objects lost remain unknown to this day. Fifteen minutes ride north from Malia is the traditional village of Krasi. The route will take you across a gorge lined with carob and oak trees. Krasi's most famous attraction is the huge plane tree, which cannot be circled even by ten people lined up. 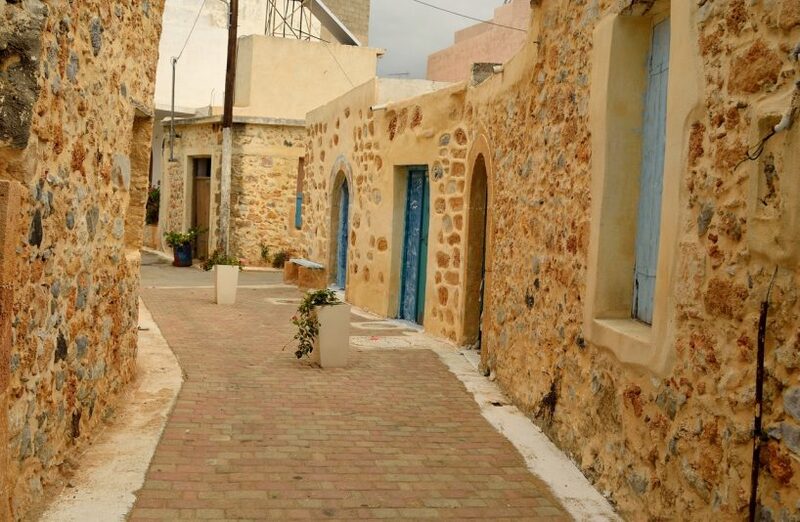 In the central village, you can have a coffee or eat in one of the traditional taverns and sample the local delicacies which are renowned for their quality all over Crete. You can conclude your visit by taking a walk along the alleyways and narrow streets of the village. Book your Kreta transfer now. Enjoy a high-quality service at the lowest prices. Best price guaranteed. That’s why we are Crete’s favourite airport transfer company.